Love the Earth. 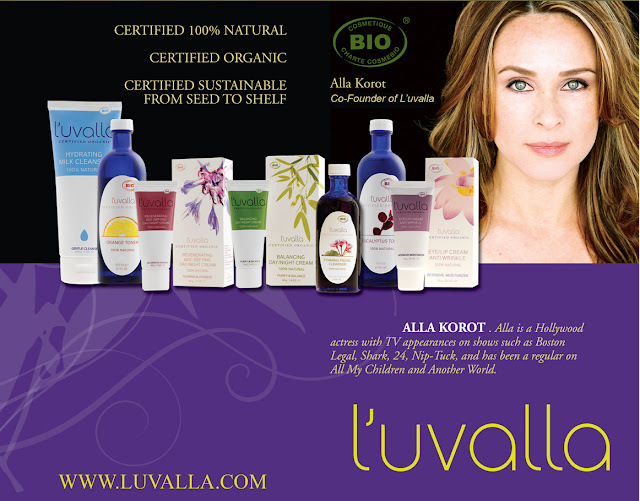 Every element of the natural products L'uvalla creates is sustainably produced from seed to shelf for optimal environmental preservation. L'uvalla is a way of life: mindful, healthy, balanced, and beautiful. 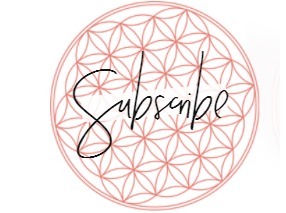 L’uvalla is the luxury skincare experience that goes beyond beauty—it’s a way of life that respects your health – mind, body, spirit - and the well-being of the world around you. Is that not inspiring? It shows in their products. Luvalla just feels pure and natural. You can tell that it's all natural, and not one of those brands that call themselves natural only to find a label full of unpronounceable ingredients. It's real. 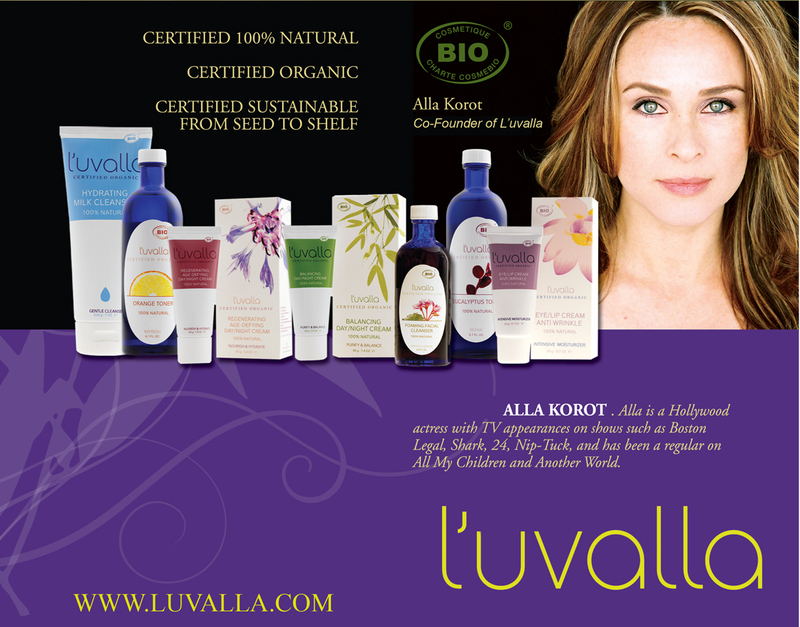 I have been using the full line of Luvalla and the reward is healthy skin and peace of mind. I know that I'm not putting junk into my body and down the drain. •No harm done to people. •No harm done to animals. •No harm done to the planet. That's a philosophy that you can feel good about and that we should start demanding from the products we buy. Luvalla recently Launched their new site redesign. It's lovely- easy navigation, tons of information, and it looks simple and high quality, just like their products. Foaming Facial Cleanser - BALANCING SYSTEM STEP 1: a light, frothy cleanser for combo/oily skin that thoroughly removes daily toxins, impurities, and makeup without irritating your eyes. 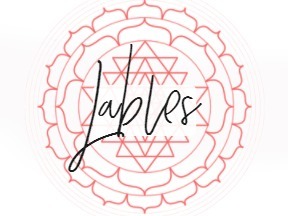 Potent ingredients, such as Bilberry and Lotus Flower, contain flavonoids that have antioxidant properties more powerful than vitamin C in fighting free radicals, the number one cause of aging skin. This deep-cleansing formula leaves your skin feeling abundantly hydrated and squeaky clean. Eucalyptus Toner - BALANCING SYSTEM STEP 2: effectively clears away congestion in your skin reducing pore size without the damaging effects of alcohol. Formulated with organic plant extracts, including Eucalyptus and Sage, this toner invigorates and protects your skin while helping to eliminate and minimize breakouts. Balancing Cream - BALANCING SYSTEM STEP 3: a light moisturizer that utilizes the antiseptic and astringent properties of Thyme, Clove Flower and Cinnamon Bark to purify your skin and clear congestion. The powerful anti-aging properties of Argan Oil, which has twice the vitamin E of olive oil, reduces fine lines and wrinkles while boosting your skin’s natural collagen production. This cream uses Palm Kernel Oil to provide hydration and leave your skin feeling silky-smooth with a matte finish. Orange Toner - AGE-DEFYING SYSTEM STEP 2: effectively minimizes pores while calming and refreshing your skin, with ingredients such as Mallow, Verbena, and Mistletoe, which also soothes and heals irritation and bumps caused by shaving and waxing, without the damaging effects of alcohol. Formulated with the anti-aging properties of Bitter Orange Leaf and Horsetail Leaf, this toner will boost circulation and rejuvenate the connective tissue of your skin. 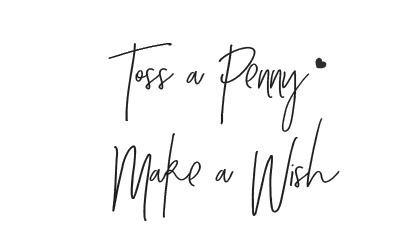 Comment with your thoughts on the redesign & become a friend @ Wishing Penny via Google Friend Connect. Both parts mandatory to win. *Follow me @jamaise at Twitter & Tweet this : RT @jamaise #GIVEAWAY #WIN - a product of your choice from Luvalla - natural & organic skincare http://bit.ly/fPUlMb Ends 12/17 tweet each day for one entry each ! Disclaimer: Luvalla Skincare provided me with a free sample of this product to review, and I was under no obligation to review it if I so chose. Nor was I under any obligation to write a positive review or sponsor a product giveaway in return for the free product. These views are my own. So if you know that your present skin care product contains paraben – throw it away. The best thing is to start using skin care products with absolutely natural ingredients. If you just spend a little bit of your time and carefully read the label before buying any skin care product you will surely gain smooth and infection free skin quite soon. Just avoid parabens and choose purely natural products. I'm a GFC follower (Jennifer Mo). I don't remember the old L'uvalla website well, but I'm pretty sure it didn't have flash! The banner looks nice; the light text on a black background is dramatic, may be a little hard to read. I know it's boring, but I think I would prefer a lighter, more natural looking background color. I think the new L'uvalla site is beautiful. I just learned that they use Argan oil from Morocco in their products - yay! Follow you on GFC as Elena. Liked L'uvalla on FB as Judith B. Commented on L'uvalla's FB page about giveaway as Judith B.
I like the site. I especially like how you can easily find what you're looking for. The ingredient list at the top is very helpful with the benefits. I also am a Googlefriend. #1 I Like Luvalla at Facebook. #2 I Like Luvalla at Facebook. Black isn't very organic/natural looking, but otherwise great design. entered your 7th Generation giveaway.